Delaware sure likes being first. The first state to ratify the Constitution just became the first state to enact a broad law that gives families the right to inherit digital assets the same way that they'd inherit physical assets. Now, it's up to the other 49 states to follow suit. Inspiration for the new Delaware law, known as the Fiduciary Access to Digital Assets and Digital Accounts Act, comes from the Uniform Law Commission, a non-profit that supplies states with good, non-partisan legislation on a number of topics. The guidance of an organization like the ULC is especially helpful for legislating something like digital inheritance, since states don't appear to be taking the issue very seriously. 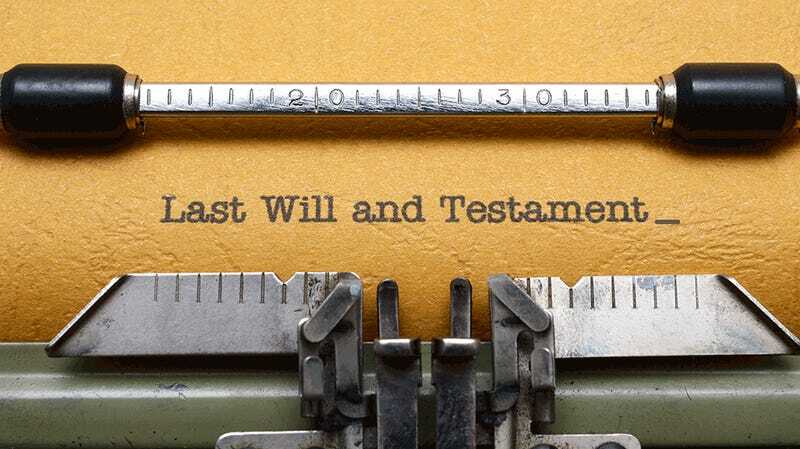 So far, Idaho, Nebraska, and Indiana have passed limited laws that address digital inheritance, but no state has pass such comprehensive legislation as Delaware now has. So what makes it so comprehensive? Delaware's law—and the ULC legislation that guided it—simply gives the account holder power to decide what happens to his or her digital assets. At present, that power lies with the tech companies in control of the assets. It's currently impossible, for instance, to inherit the contents of a loved one's iTunes profile in the same way that you might inherit a record collection. (When you buy iTunes songs, you're actually just buying a license to play them rather than the content itself.) Inheriting access to, say, a Facebook account, since simply sharing the password would be a violation of Facebook's terms of service. All of the United States should do what Delaware's doing. In the absence of universal adoption, the issue of digital inheritance remains complicated, and while it's possible to pay organizations to help you with the transition or even set up legal trusts for digital assets, it shouldn't have to be so hard. And it leads to heartbreak when families can't even access simple things like digital photos or messages. Think about how terrible the family of a soldier felt when Yahoo refused to give them access to their son's email after he was killed in Iraq.